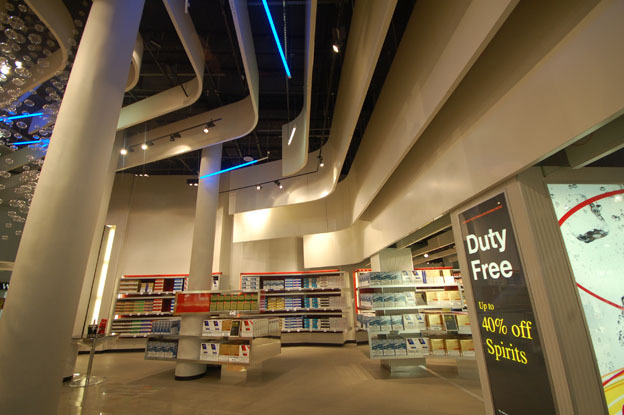 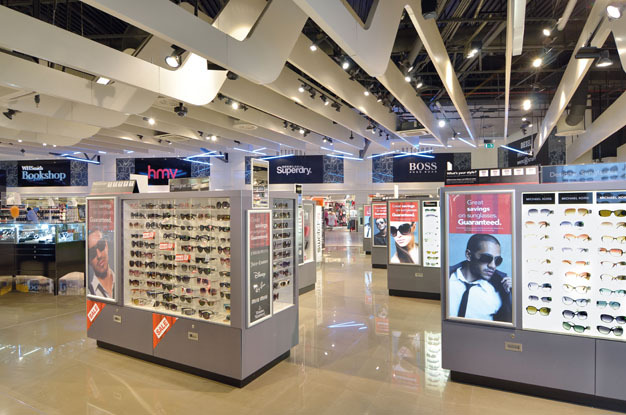 Inside Manchester Airport’s Terminal 1, the Alpha Group opened a 2,635 sqm walk through Tax and Duty Free store. 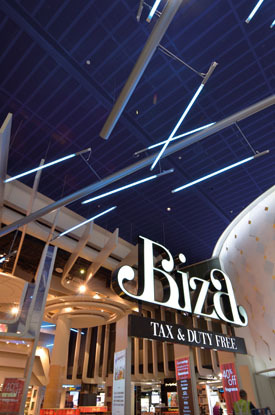 Its radical design represents an overhaul of the main retail offerings at the terminal, which is currently undergoing a major modernization. 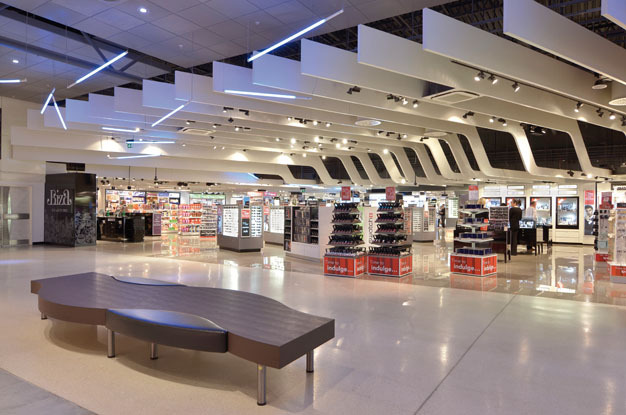 The retail outlet promises to redefine the airport shopping experience by offering a stylish and contemporary environment that is ambitious and yet inclusive for consumers. 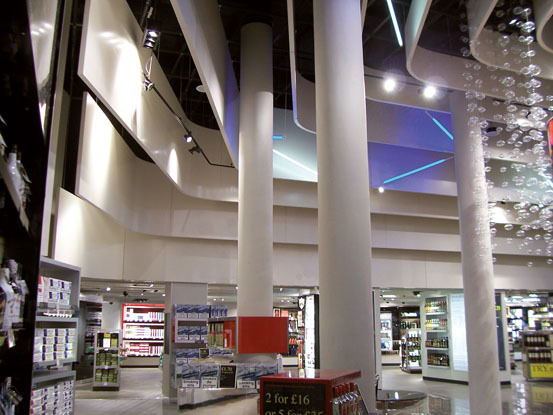 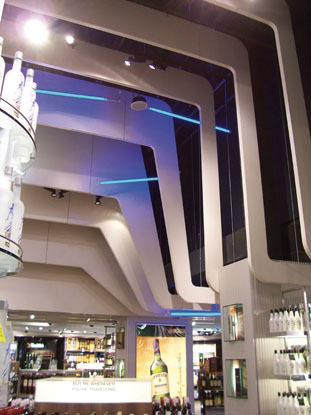 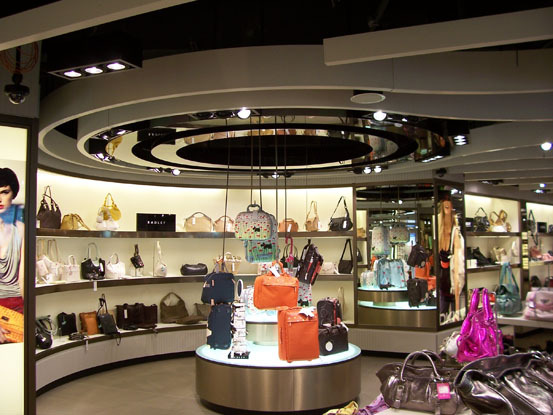 The store’s design is central to this concept and features an amazing series of vertical ceiling panels that are suspended at different heights to create a concertina like effect to the internal roof void. 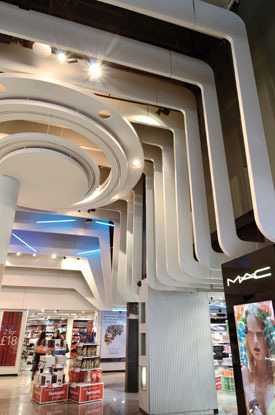 This baffle concept was the brainchild of designers HMKM London and was produced by developing Hunter Douglas’ QuadroClad ® aluminum honeycomb core façade system, into a vertically suspended ceiling solution. 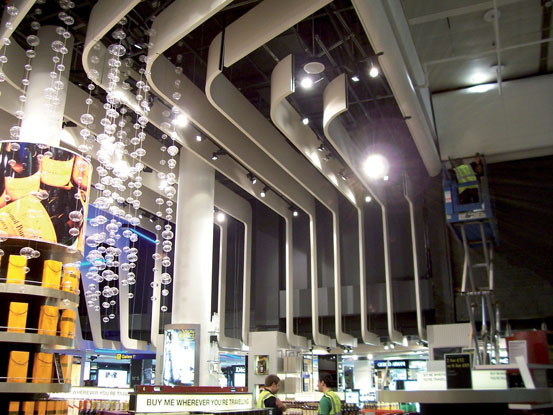 The baffles vary in size between 130 mm and 1500 mm deep, and the scheme includes curved sections in plan and dramatic S-shaped transition pieces to flow between high and low levels.